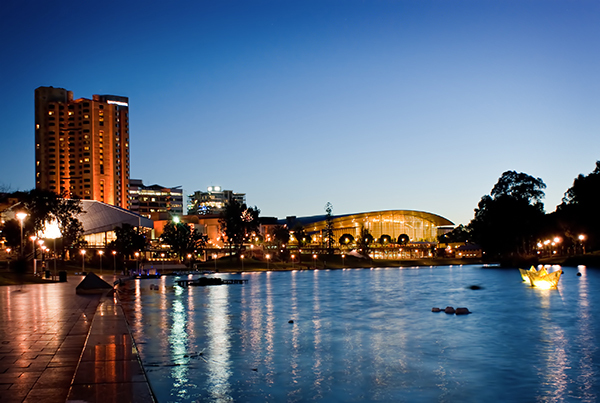 Being the capital of the state of South Australia, Adelaide is one of the most popular tourist destinations of the island nation. The city is travellers’ favourite because of its abundant offerings. The natural beauty, bustling marketplaces, an interesting nightlife and of course, the expansive beaches, make Adelaide a city worth visiting. Adelaide is also fast becoming an emerging destination for wine lovers. The city is located in the central wine regions of Australia, and many wineyards are within driving distance. It is not for no reason that Adelaide is called the city of beaches. The city has several places which are perfect to lie under the sun, enjoy the charming waves and the romantic atmosphere. The most popular seaside attraction is the Glenelg Beach, a place considered a great combination of natural beauty and a historical setting. A favourite among the locals is the historic trams and lights rails that run through Glenleg. Another of the attraction is the pier, which is always full of evening walkers and couples hanging out together. Other popular beaches in Adelaide are the Henley Beach and the West Beach. Another worth-visiting sea-side attraction is Port Adelaide, the historic old town of the city. Many people come here to see the historical architecture, watch the dolphin shows and go on boat cruises. For nature lovers, the place to visit is the Belair National Park. It is a big park, perfect for bushwalking, playing evening games and catching fresh air. Old Central House, a royal residence in the park is often visited by the tourists because of its historical significance. The most famous church in the city is the Holy Trinity Church which is referred to as South Australia’s first Anglican church. Adelaide is perfect to be visited during the summer season during which time tourists come in hordes and make it the summer capital of Australia. For those who are planning to visit the city in future, it is pertinent to plan their trip well in advance of their arrival. Also, tourists should always hire a car to travel to the beaches, park and historical attractions of the city. A very popular provider of car rental services is Hertz, which provides the option of online booking. You may choose your favourite car through their website. This way, travellers can book their transportation in the city even before they land here.